HeatnBond UltraHold is a paper-backed sheet of solid adhesive. Iron it on fabric at a low temperature to make it fusible to other surfaces such as broadcloth, fleece, muslin, paper, cardboard, etc. Its bond is three times stronger than traditional fusible web products. 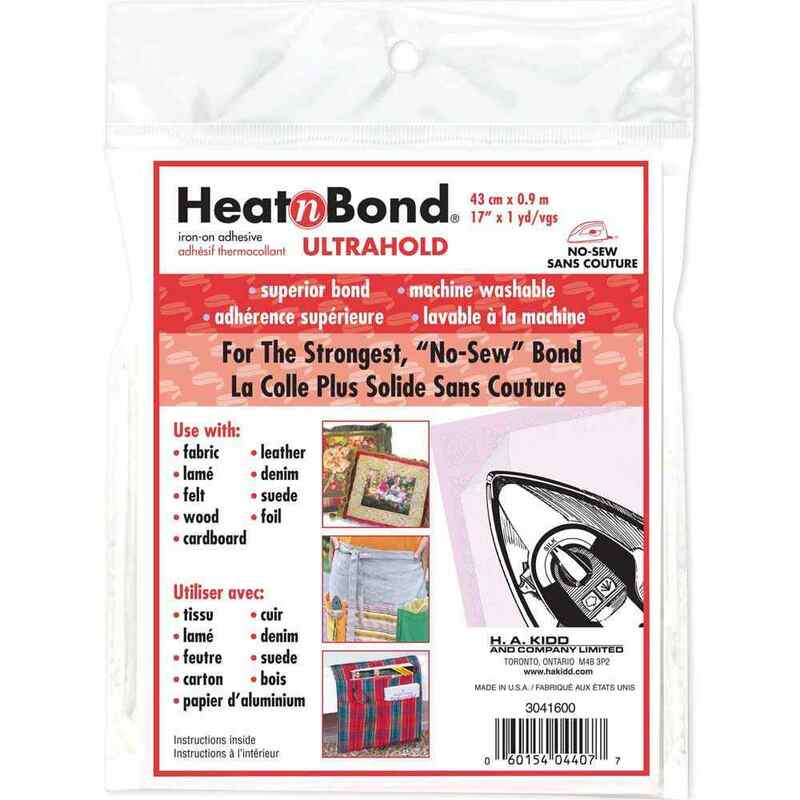 This makes HeatnBond UltraHold truly the superior bond for all no-sew projects using medium to heavy weight materials. Use with: fabric, leather, lame, denim, felt suede, cardboard, wood or foil.